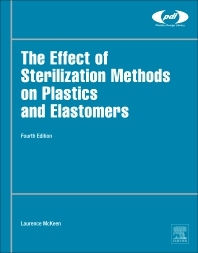 The Effect of Sterilization Methods on Plastics and Elastomers, Fourth Edition brings together a wide range of essential data on the sterilization of plastics and elastomers, thus enabling engineers to make optimal material choices and design decisions. The data tables in this book enable engineers and scientists to select the right materials and sterilization method for a given product or application. The book is a unique and essential reference for anybody working with plastic materials that are likely to be exposed to sterilization methods, be it in medical device or packaging development, food packaging or other applications.